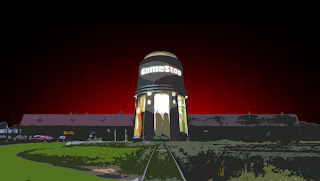 Recently I have written (or ranted) about Gamestop and their questionable practices. The impetus for that post was a resignation letter (dead link) written by a former assistant manager of the company, one whom I had the privilege of working with. Admittedly I was somewhat disappointed that our stories have garnered so little attention. Yet hope still remains that our criticisms will be heard more widely. Today, another friend, and former Gamestop employee, has blogged his resignation letter from some weeks ago. Whereas my thoughts on these issues tend to get rather agitated, as the whole thing gets me a bit upset, Bonuspoints manages to keep his entire letter professional. I commend him on managing this, and on a letter well written. It outlines how the company has deteriorated over the years, and provides further evidence of Gamestop's lack of caring for both their employees and customers. I encourage anyone who believes this is something that people should be aware of to help us in spreading the word. One way to do this, is to add your Digg! to this news story. Update: From a reader comment on Bonuspoints, by Broodingwolf, comes a possible explanation as to why such practices are becoming more prevalent in the business world via a CNN article.